An international team of researchers wants to level up corn by boosting its ability to capture CO2 from the atmosphere. Corn (or maize) is a fruit and one of the most important staple foods on the planet, exceeding even rice or wheat in quantity grown per year. However, in Australia, while corn has the widest geographical spread of all field crops, it lags behind its counterparts (such as wheat or rice) in yield. One of the main issues maize has to grapple with in the land down under are harsh environmental conditions. In a bid to help the crop bloom to its full potential, an international team of researchers has been toying with its genome, to boost the plant’s ability to photosynthesize. 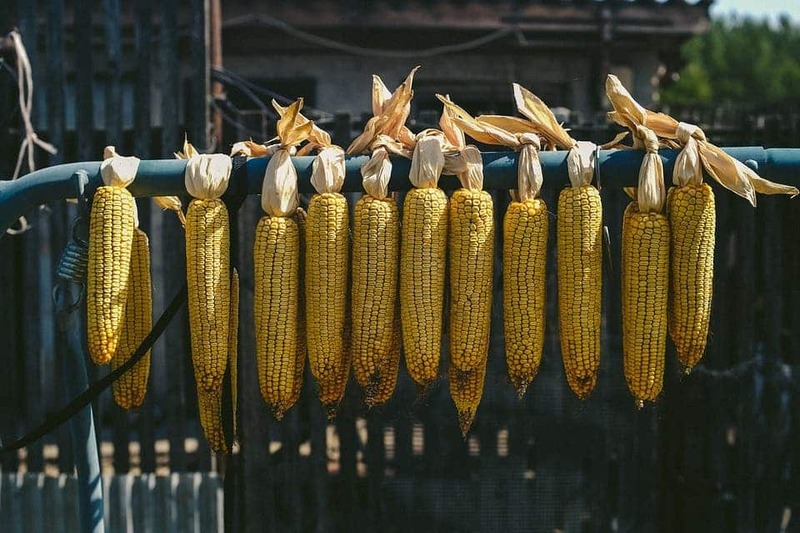 “We developed a transgenic maize designed to produce more Rubisco, the main enzyme involved in photosynthesis, and the result is a plant with improved photosynthesis and hence, growth. This could potentially increase tolerance to extreme growth conditions,” said lead researcher Dr. Robert Sharwood from the ARC Centre of Excellence for Translational Photosynthesis, led by The Australian National University (ANU). While all plants rely on photosynthesis to capture carbon dioxide from the atmosphere, they go about it in different ways. Plants like wheat and rice use an older and less efficient photosynthetic path (the ‘C3’ path), while other plants such as maize and sorghum use the more efficient C4 path. Some of the most important food crops today (as well as many that are used for animal feed and biofuel production) rely on the C4 pathway. C4 plants are specially adapted to thrive in hot and dry environments — ones that are expected to be more prevalent in future decades. One of the molecules that underpins photosynthesis is an enzyme known as Rubisco — which converts CO2 into organic compounds. Rubisco’s activity is much improved in C4 plants, making the process faster and more water-efficient. As a result, these plants are more tolerant to heat and drought, and tend to be more productive than their C3 counterparts. Maize has one of the most efficient Rubisco enzymes and uses “less nitrogen” to grow than other crops. “So, our main question was, if we increase Rubisco content in maize, what would it do for the plant?” says co-author David Stern, from the Boyce Thompson Institute. Overall CO2 assimilation and crop biomass increased by 15%, the team reports. While quite excited with their results so far, the researchers plan to further increase the “pool of active Rubisco” in the plant to increase this percentage even further. Until then, however, they hope to pit their maize against real-field conditions — the crop has, thus far, only been tested in glasshouse and cabinet conditions. However, if the team’s maize proves itself hardy enough to survive farmland, it could pave the way for further C4 crop species to receive the same treatment. The paper “Overexpression of Rubisco subunits with RAF1 increases Rubisco content in maize” has been published in the journal Nature Plants.